LOUISVILLE, Ky. (WDRB) — A Louisville beverage company could soon put Cannabidiol in your cocktail. Flavorman is experimenting with CBD-infused pre-made cocktails, such as a CBD Old Fashioned or Manhattan. The beverage applications lab has well-known clients including Jones Soda Co. and Ocean Spray. 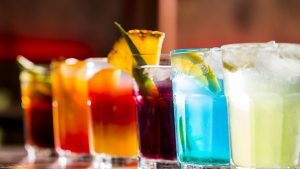 The Company’s COO, Aaron Parker, would not disclose which client called for the CBD cocktails, but he said Flavorman scientists have been mixing the drinks for years preparing for the cocktails to hit the shelves. The hold up, according to Parker, is with the Tax and Trade Bureau. CBD in a cocktail tastes similar to hops in your craft beer, according to Parker, and it makes him feel calm and relaxed. Others could feel different effects. The effects vary person to person, according to New Albany’s Seeds and Greens Natural Market and Deli owner and CBD advocate Stacey Freibert. That’s why she recommends starting “slow and low” or with a small daily dose of CBD when trying it for the first time. “We recommend here that you start with anywhere from two to three milligrams your first dose,” Freibert said. Seeds and Greens already offers CBD Oil on its smoothie menu, because Freibert said there are several health benefits such as managing anxiety, Parkinson’s Disease, pain and inflammation.